According to the Times of India, on 8 January 2012, Jacintha Saldanha was admitted to Fr Muller Medical College Hospital in Mangalore, after a fall. The family doesn't know of any other instance of hospitalisation. Jacintha's brother Naveen Saldanha said that Jacintha came across as a cheerful woman during her visits to Mangalore. According to the Indian Express, Jacintha Saldanha was admitted to a Mangalore hospital in December 2011. "According to local reports from Mangalore, medical records from the nurse’s stay in hospital during her last visit, ostensibly for a serious fall, suggested that she was diagnosed with a depressive disorder due to a history of stress and that she may have tried to harm herself. "The exact cause and trigger for the (alleged) depression was not known and the nurse had been treated, put under medication and discharged in January, reports said." On 23 December 2012, the UK's Daily Mail reported that on 30 December 2011, Saldanha attempted suicide with an overdose of pills during a family visit to India. According to the Daily Mail, she survived after being rushed to hospital but she tried to take her own life nine days later by jumping from a building. Jacintha Saldanha, who allegedly hanged herself. Reportedly, Jacintha left behind three letters after her death in London. Speaking to the Daily Mirror, a source close to the family said: 'One of the letters, which is the longest, deals with the hospital and is critical in its tone. King Edward VII Hospital stressed Jacintha Saldanha was not subject to any disciplinary procedure and that there had been no criticism of her. It added: "Following the hoax call, hospital management offered her their support and told her that they considered her the victim of a cruel hoax. They stood by her actions, and made it clear there was no criticism of her, and that there would be no disciplinary action of any kind." 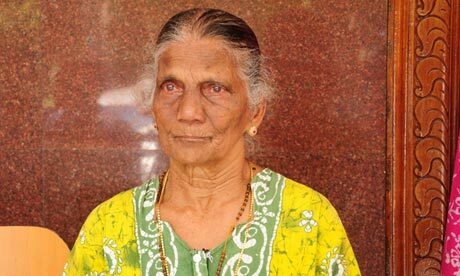 "Mrs Saldanha’s family has been given typed copies of the three notes and has reportedly read the contents. "One note apparently deals with the hoax call from the 2Day FM DJs, another details her requests for her funeral, and the third addresses her employers, the hospital, and contains criticism of staff there, according to the Guardian, who say they have spoken with two separate sources." "She was a very practical person, very clever and never weak hearted. "That is why her suicide is very suspicious," says an Abu Dhabi-based nurse. "A source writing to The Slog suggests that it wasn't a suicide note." "Why.... did she die then? Maybe if she had been found unconscious I could understand it, but… Hmmm, very, very strange. "Then we are told that she did actually leave a suicide note (or notes). "Jacintha was not humiliated in the prank call... The Australian, playing the role of the Queen (Very unconvincingly) said 'Oh Hello, can I speak to my Granddaughter Kate please'. "'Who's calling?' would still have been appropriate. "I would imagine that Kate.... would have had a direct line set up anyway. "In any event, I am .... sure that Jacintha would have been briefed about how to handle calls for Kate." The police said that her death is "unexplained." Committed Zionist Lord Leveson is to appear in Oz. Just as the shock waves have dissolved, following the hospital 'prank'. Just who, exactly, gave these DJ's 'the number' to call, and who exactly, are the owners of this radio station? "The fact that Jacinta wasn't even the Nurse who gave out the medical details (allegedly) along with the mention by her own family that 'she was not the type to kill herself', just adds further stinking fuel to the fire. "She either had psychological problems to begin with OR someone killed her - it's as simple as that. "It is bizarre fantasy to say she was so upset over the radio prank that she killed herself over it. Everyone knows this, yet no one is saying a word. "Clearly there is a cover up which is being nicely done with the use of thousands of tax payer pounds - What a parade, the children of the deceased being dragged around London yesterday in full view of the world's media! It's a sick joke! "The reasons for her death are far from clear - but what a lovely 'bloody' way to announce to the world the coming heir to the throne! Just before 9.30am on 7 December, Saldanha was found dead at her accommodation near the hospital in a suspected suicide. The relatives of nurse Jacintha Saldanha have revealed that she told no one in the family about the prank call that has been blamed for driving her to suicide. Members of the family said that neither Saldanha nor her husband, Benedict Barboza, had talked of the hoax phone call or given any clue that she had been under any pressure or strain. "Benedict used to call every day but neither he nor Jacintha said anything about what had happened. Everything seemed normal," said Carmine Barboza, 69. "We spoke to Benedict again this morning, and he said he hasn't been allowed to see her body yet because of legal formalities and she'll not be handed over before Monday." Michael Christian: Now Mel, today is a very special day, it’s the day a lot of people have been waiting for for a very, very long time. Mel Greig: There has been speculation for months that Kate Middleton, married to Prince William, is pregnant. And it has been confirmed that she is pregnant, she is in hospital with severe morning sickness, poor little dear. Christian: The thing is, though, that this condition that she has is often attached to women that are having twins, so maybe not one but two royal babies. Greig: I would rather pump out a couple at a time. Makes it easier I think. Christian: You make it sound so special and emotional. (does an impression of Greig) I’d rather pump out a couple, that’d be all right wouldn’t it? (Laughter) Have someone in the corner of the room with a baseball mit, catching them. Pump it out. Christian: Here’s the thing. We’ve been handed a phone number and we have been told that this phone number is the hospital where Kate Middleton is currently staying. We thought we’d give it a call. We don’t want to cause any trouble, we don’t want to stress her out because she is doing it tough. But I reckon we could maybe get her on the radio tonight. Mel Greig: Look, I don’t know. I mean everybody will be trying this. Christian: I’m going to be Prince Charles. Greig (Queen voice): Hello, I’m the Queen. Christian: Ben and Em (off microphone) so you’re involved in this as well, we thought that maybe you could be the royal corgis, if you’re OK with that? Em: over intercom: Sure we’ll pop on in, in a sec. Christian: I’m going to dial this number. Greig: This is fun, I mean (adopts Queen voice), this is fun. Christian: So you’re going to be the Queen. Greig: Hello, I’m the Queen. Christian (in a Prince Charles voice): Hello. Prince Charles over here, mummy. Greig: Oh, you’re Prince Charles, I like your ears. Christian: Let’s give this hospital a call and see if we can get Kate Middleton or maybe even Prince Wills on the phone tonight. So the number is going in ... oh Jeez, I hope this happens. Receptionist: Hello, good morning, King Edward VII Hospital. Greig (Queen voice): Oh hello there, could I please speak to Kate please, my granddaughter. Receptionist: Oh yes, just hold on ma’am. Christian: Are they putting us through? Christian: If this has worked, it’s the easiest prank call we have ever made. Your accent sucked, by the way, I just want you to know. Greig: I’m not used to playing 80-year-olds. (Phone connects) Kate, my darling, are you there? Nurse: Good morning, ma’am, this is the nurses station, how may I help you? Greig: Hello, I’m just after my granddaughter Kate. I wanted to see how her little tummy bug is going. Nurse: She’s sleeping at the moment and has had an uneventful night, and sleep is good for her, as we speak. She’s been given some fluids to re-hydrate her because she was quite dehydrated when she came in. But she’s stable at the moment. Greig: OK. Well, I’ll just feed my little corgis then (barking in the background). So when is a good time to come and visit her? Because I’m the Queen so I’ll need a lift down there. Charles! When can you take me to the hospital, Charles? Christian (pretending to be Prince Charles): When will it be all right to come down and see her? Maybe in the morning or something? If that’s OK? Nurse: I would suggest that any time after nine o’clock would be suitable, because the doctor will be in in the morning and we’ll just be getting her freshened up in the morning. I would think any time after nine. Christian: Wonderful. Is Wills still there or has he gone home? I haven’t spoken to him yet. Nurse: He went home at about half past nine last night. Actually, probably about nine o’ clock last night. Christian: OK, Lovely. But they’re all OK, everything’s all right? Nurse: Yes, she’s quite stable at the moment. She hasn’t had any retching with me since I’ve been on duty. And she has been sleeping on and off. Nurse: I think it’s difficult sleeping in a strange bed as well. Christian: Yes, of course, it’s hardly the palace, is it! Greig: It’s nothing like the palace is it, Charles? Oh, when are you going to walk those bloody corgis? Christian: Mumsy, I’ll go and take the dogs outside. Greig: I need to go and visit Kate in the morning. My dear, thank you so much. Greig: She was giving us real information! Christian (as Prince Charles): Mumsy, I think that they believed everything we said. Greig: I am the Queen: bow for me, bow for me. Christian: Bow for you and your terrible accent. Confession of Mel Greig and Christian are nothing but done by any accused charged with murder. I dont understand why it is given so much importance when a big family in india crying unconsolably. Portuguese Indians? Interesting. Maybe the press was all over her and she could not handle it anymore. I don't know her medical history. She could be bipolar. In the USA this is very common. So the body hasn't been released to the family, and the husband hasn't even been allowed to view his wife's body because of legal formalities? It reminds me of the secret morgue set up outside Joplin, Mo., last year after an E5 tornado killed 160 people. No one was told where the morgue was or allowed to search for their dead. One young couple found out their toddler was being held at the secret morgue when a neighbor, a cop with access, took a photo of their little boy's body to give them. There's a video on youtube of a CNN reporter and cameraman who were turned back on the public road to this temporary morgue by armed guards. All for legal formalities, I'm sure. The whole hoax is suspicious. Have you ever tried to get information over the phone about someone hospitalized? The questioning at the nurse's station is serious for giving out updates .. pesky lawsuits and all that, and that's just for getting information about poor schmucks like us. Yet we're to believe that these bozos with their bad accent and grammar can not only immediately get through, but get private information about this royal elite (and the future king, William) without any scrutiny at all. I guess we're also to believe from that video that this vital woman and mother, was so shamed and/or stressed for sending a call to the nurse's station, she hung herself and left her children motherless and her husband a widower. It's obviously a news distraction, but why, and what does it mean? It seems everyone in the news business, and radio hosts are in that business, is an actor paid for sticking to the outrageous, meant to confuse, script. Well, let s talk about conspiracies. Maybe she found out who the real father of Kate's child is. Or that she is not pregnant but sick? What a typical "English" Jewish family! Bad grammar and accents seem to be matched in this situation. Hi Aangirfan, thanks for referring to my comment. I need to change my blogger account to show my name properly! I hear that 5 days later we now have a suicide note, convenient to say the least, and the MM are now mentioning the hanging BEFORE the autopsy result is out - it's taken long enough. The province of Goa in India was colonised by the Portugese; hence many of its people are of Portugese decent. Thanks Mary. Many Sephardic Jews probably moved to India. The Sasson family seems to be well respected in India. David Sasson founded an empire in Bombay, and some "charities". It sounds familiar. Just wonder why the majority of the Indian population live in so much poverty. I bet it is not related to their Jewish brothers. In the late 18th century, Jews from Arab countries and Iran arrived in India. And they are called collectively ‘Baghdadi Jews’. Most of ‘Baghdadi’ Jews did arrive from Baghdad but there were among them Jews who arrived from Syria, Iran, Yemen and other places in Iraq. Sometimes these Jews are collectively called ‘Iraqi Jews’. And as stated earlier the Bene Israel Jews were called ‘Israel’ and the ‘Baghdadi’s as ’Yehudi’. The ‘Baghdadi’ came to India because of religious persecutions in their countries and also because of commercial reasons. Most of the ‘Baghdadis’ were big merchants and businessmen before they arrived in India. They settled in the main commercial cities of India. First in the city of Surat (in present day Gujarat) and later on as the commercial importance moved to Bombay and Calcutta the ‘Baghdadis’ moved to these two cities and also to Rangoon, now capital of Myanmar (formerly Burma and part of British India). These Jews were successful businessmen and they brought their families and other Arab country Jews to India. Some of the Baghdadi Jews had small businesses like clothes shop. But there were also Baghdadi businessmen who were the main figures in the Indian economy. Many Baghdadis owned factories all over India mainly in the textile section. One of the famous rich families of the Baghdadis was the Sasson family. Besides their business activities, the Sasson family contributed many things to India. In many cities of India they built hospitals, schools, libraries, monuments and other things. But alongside with their contribution to India the Baghdadi Jews kept themselves aloof from Indian society including the veteran Indian Jews. The rich Baghdadis built synagogues, schools, cemeteries and departments in hospitals where the rights were reserved for the Baghdadi Jews only. The Baghdadis whose mother tongue was Arabic slowly started adopting English as their first language. They also adopted other English customs like dressing. They even began to identify themselves with the British culture. Sometime in the late19th century, the richer Baghdadis began immigrating to England and were very active in the upper classes of the British society. The Baghdadis who remained in India slowly started approaching the Indian society and culture and also to other Indian Jews. In some sense the Baghdadis who emigrated from India, became more Indianized outside India than they were in India. The Baghdadis at their height numbered about 7000 and that was in the 1940s. Today there are less than 50 Baghdadis in India. Now the Independent is reporting that the three 'suicide notes' were 'type copied' and given to the family - NOT copies of the original handwritten notes or anything as authentic as that! I too, until the announcement of 'hanging', had taken it as just the punctuation mark in a psyop. Kudos to Su for getting it straight off the bat. No points for guessing what's on 'their' xmas list. In the days to come, I think it is very important, that we remember Jacintha Saldanah, her husband Benedict Barboza, and her 'hanging' on a Friday at Marylebone. Conjecture only: Jacintha Saldanah apparently was in a position to know something that was not to be told to anyone. Just what responsible position did she have at the hospital? Perhaps she accidentally saw or heard some very private information at the hospital and passed it on to her superiors. Whether or not she thought it critically important, someone in power knew it was. So she was likely murdered for having the knowledge. Sounds like a fictional LeCarre novel, but in real life it happens to persons who have no inkling of the kind of threat they represent to the ruling powers. So it was no suicide, except officially. It is being assumed that the phone hoax about Kate being ill is what the death was about. I am guessing that the info regarding Kate's morning sickness from pregnancy is not what got the nurse murdered. It could be because of the detailed medical records kept on the royals, including DNA these days. On computer files most likely. Legitimacy in royal line is probably critical info to the ruling powers. It is possible that this nurse stumbled onto electronic files not meant for her to see. What kind of detailed info would be most critical to keep secret? Possibly Kate Middleton's DNA and that of her baby to be are exact to William's? Are they more than cousins? And would it really matter to the depraved royals if they were possibly brother and sister? The devil is in the details whatever they are and that could be why the nurse was murdered. Was the phone hoax created specifically to be used as a cover reason for the death of Jacintha Saldanha? That such a corny prank would have succeeded at an elitist hospital in regard to royalty seems utterly staged. And Jacintha didn't even take the call! But her alleged suicide is based on this alleged call she didn't even take. But she was still murdered. What did she know that they had to plan her death in advance? Somebody needs to get that secret out in order to take some ruthless person down. There being plenty of allegations that Diana was sired by a Goldsmith, and I have read that Carol was a Goldsmith. Now that would appear a much more likely reason to be in hospital with all its testing capacities, attended to by two top obstetricians (as was shown on lame stream media) as opposed to morning sickness, which could easily have been managed in the 'royal' home. Anon 8:12, somewhere in the interviews with the DJs they said that someone pressed the number of the hospital into their hands, suggesting they give it a call. All this, combined with a fiscal cliff in US, a school shooting and a backflip on Development Aid by the Australian govt, suggest to me that the ruling elite are increasingly desperate. They can no longer cover their lies, and as we well know, when they are cornered, they drop bombs and create burning hells, always ensuring their own survival. Our ruling masters gave us 50 different loose threads to ponder and chase on this crime. Often, the real message or primary point is not even noticed by the people. I wonder if this is not about Saldana in the least and is all about the Royal family. Specifically the idea that the poor Royals still have it so tough with the UNCONTROLLABLE UNRELIABLE UNPREDICTABLE (did I mention UNCONTROLLABLE) media hounding them. The media for all of its flaws is relentless and unstoppable in its pursuit for news stories. What a load of crap. We here know what the mass media is. But the target audience of this 'suicide' are those who still watch the BBC. Those who watch the Savile saga and wonder, could the media keep such a story quiet? Then they see this hounding of pregnant Kate (shed a tear for Dianna) and react by hating the media, but believing the key point.....the media do what they want, they are independent. That point makes the whole idea of BBC, MI5 and Royal Family direct involvement in the Savile scandal impossible to believe. Every big Hollywood blockbuster also sells the idea of the dangerous uncontrollable media hounding some US President who fears their power. We here know better, but the fools who support our wars, support austerity and every other government crime are the ones who believe the media is keeping an eye on things. Well Mel Greg and Christian belong to rich and big families.Thats the reason why public is seriously following their Confession. One should not take a serious note when something big happens with rich families.